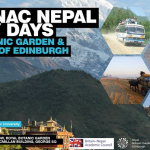 Britain Nepal Academic Council (BNAC) has elected five new members of executive committee for four years. Dr Feyzi Ismail (SOAS, University of London), Premila van Ommen, Dr Sara Parker (Liverpool John Moores University) and Dr Stefanie Lotter (SOAS, University of London) have been elected through email voting, which was conducted between 22/05/2015 and 05/06/2015. BNAC has also co-opted Dr Kalyan Bhandari (University of the West of Scotland) as an executive committee member for two years. The election of new executive committee members was conducted to fill the posts which were earlier held by : Professor Anthony Costello (University College London), Dr Judith Pettigrew (University of Limerick), Dr Mara Malagodi (London School of Economics), and Dr Tom Owen-Smith (King’s College, London University). The full list of BNAC executive committee is available in this link.